In November 2014, voters in Alaska passed the AK Marijuana Legalization ballot measure, which led to the state officially legalizing cannabis use in February 2015. Now that marijuana use has been legal for over a year, state legislators are on the verge of passing laws that will better regulate the industry. Per House Bill 337, all marijuana cultivation facilities operating in the state will have to post a $5,000 surety bond to secure the payment of an excise tax. The state will suspend the license of any facility cultivating marijuana that does not furnish the bond. Per the new requirement, each facility needs to file an electronic return to the AK Department of Commerce on or before the last day of each calendar month. Each return must provide the amount of marijuana sold or transferred to retail marijuana store and facilities during the preceding month. Each licensed facility is liable for payment of the state taxes on marijuana sold, or they risk having their bond forfeited and their license revoked until payment is made. 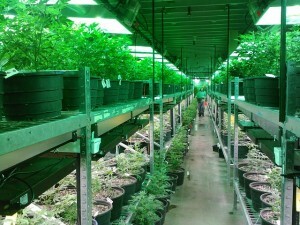 While Alaska was the third state to legalize the sale and use of marijuana, the first state do so, Colorado, seems to be on a slightly different path when it comes to surety bond requirements. Colorado recently revoked their many marijuana related surety bond requirements, for medical and retail sales. Per CO House Bill 1041, the state cited the “lack of availability in the market for the bond, which may be due to the federal ban on marijuana.” In other words, surety bond companies did not want to write marijuana business related bonds in the state of Colorado. It will be interesting to see how they respond to the new bond requirements surfacing in Alaska as well as other states.